In a new filing in Manhattan Supreme Court this past Thursday, James alleges that the president, his three children, and the Donald J. Trump Foundation were all engaged in “wrongful related-party transactions” by using the foundation as a tool of Trump’s 2016. The campaign, it argues, had total control over grantmaking, unfettered by oversight, and used this control for purposes of winning the election. The filing is aimed at holding Trump and his foundation accountable for violations of the public trust and the clear standards required of them by law. “This arrangement not only violated New York law, but also ran afoul of federal campaign finance law, turning a charity fundraiser into a campaign fundraiser and campaign rallies into opportunities for the candidate to dole out money the public had donated to a charity,” reads the brief. The statute provides for a penalty based on the benefit obtained by the related party to deter such wrongdoing, and to address the fact that the misuse of charitable funds for the benefit of insiders is prevalent, seriously compromises the ability of an organization to carry out its charitable mission and undermines public confidence in the sector. This case showcases the type of conduct the statute was intended to address. Here, Mr. Trump, the candidate, exhorted the public to donate to his Foundation and then gave his Campaign full control over the disbursement of the donations, from choosing the identity of the recipients to the amounts and timing of the grants. This arrangement not only violated New York law, but also ran afoul of federal campaign finance law. 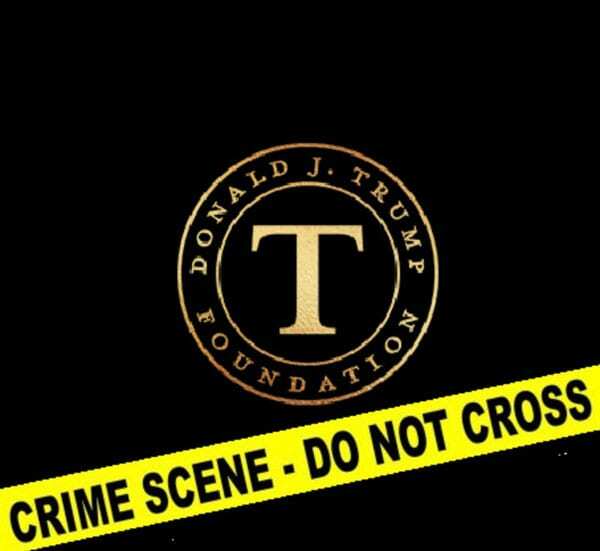 Under an agreement with the New York Attorney General and a state court, Donald Trump’s private foundation is being dissolved and residual assets of about $1.75 million are being given to charities approved by a state judge and the AG’s office.